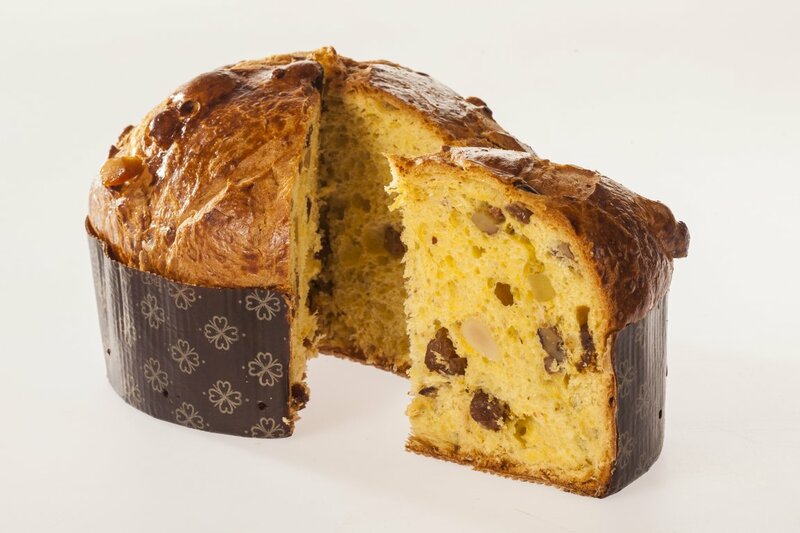 Panettoni are on sale throughout the whole year, whereas Colombe are only sold during the Easter period. The preparation process requires patience and a significant amount of time, in order to achieve a completely natural finished product, without additives, dyes and preservatives. Leavening with mother yeast requires different stages , extending production time to up to 14-16 hours. "Mother dough” is a mixture of water and cereal flour that ferments spontaneously. Nature plays the most important role: thanks to yeast elements present in the air, the process of fermentation is activated and favours the development of lactic bacteria and saccharomyces . For all of our yeast-based bakery products, we use flour from the Maroggia Mill, fresh butter, pure honey and free range eggs, all 100% Swiss.